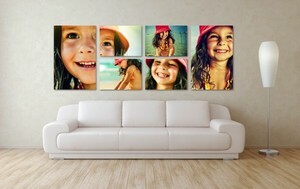 Turn your memorable photos into exciting Canvas Wall Art! Canvas photo prints are a great way to display your favorite photos! Decorate your home or office space with beautifully printed canvas wall art! We have many styles and options to choose from -- whether it is for a standalone photo or a collage of your most memorable images. Canvas Square 16" x 16"